The unique historical water main serving to the mines in the commune Špania Dolina near the town Banská Bystrica runs through the mountain landscape of Starohorské vrchy from as far as the mountain Prašivá in the mountain range Nízke Tatry. It was constructed in the 16th century and it is the oldest of its kind in Slovakia. With its length of 36 kilometres it is also the longest. It fed water to the mines in Špania Dolina. 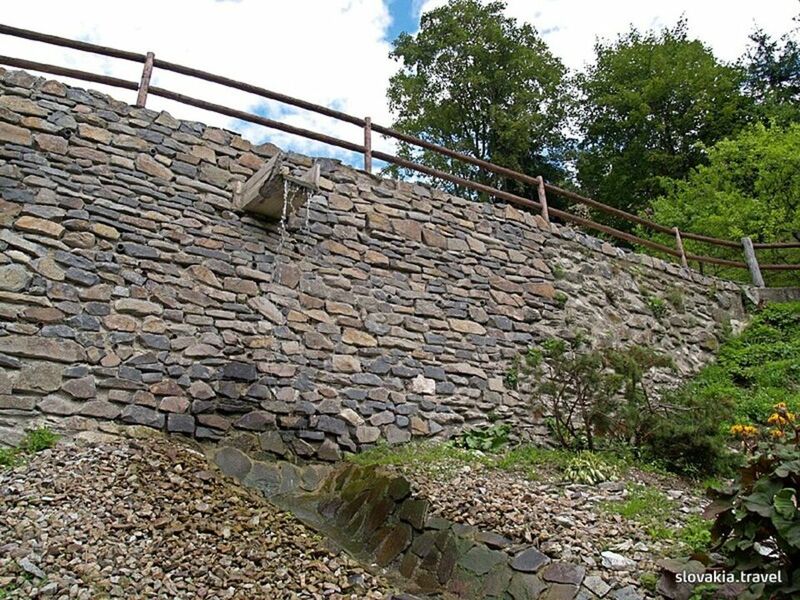 The route of the water main followed the contour line with slight inclinations and ended in Špania Dolina.The route of the water main can be followed thanks to technical arrangements like rock galleries, ramparts and stone walls. Some sections of the route are used for hiking, cycling and in winter for ski tourism. Parallel to the route runs the instructive path from Banská Bystrica to Donovaly. Situated in green surroundings 6 km from the centre of the picturesque city of Brezno, the Rohozna hotel offers you a relaxing stay on the foothills of the Low Tatras. Taste some delicious Slovakian food in the cosy elegant restaurant or on the inviting summer terrace and spend restful nights in tastefully furnished rooms (some with balconies) and apartments (all with balcony, some with kitchen). Wired internet is available in the rooms free of charge. The conference hall has a capacity of 60 people and is fully equipped with a sound system, a video projector, a flip chart, TV, DVD, CD and provides internet access. The next skiing facilities can be found in Čierny Balog (8 km), in Myto pod Dumbierom (11 km) and on the great Chopok mountain (20 km). Surrounded by the Low Tatras National Park and set 2.8 mi from the Brezno town, Kozí Dvor Rohozná offers a self-catered accommodations with a private entrance. This small homestead is specialized in breeding goats and making bio products. Free private parking is available on site. The Muráň Castle, one of the highest situated castles of Slovakia, was built as the royal sentry castle on top of the Cigánka cliff at the height of 935 m in the 13th century. The village Liptovská Teplička becomes very popular above all in summer. It is the base for trips in the mountains Low Tatras. Among them is the ascent to the mountain Kráľova hoľa (1, 946 m).